Awesome Alternatives To Screening - April 2014 - Are You Screening? We’re kicking off a new, monthly feature here at Are You Screening?, Awesome Alternatives to Screening! Every month we will bring you a few items we select as great things to do that don’t (mostly) involve screens. This is mostly going to revolve around the younger members of the tribe, but we are going to be throwing in great things for adults and/or the whole family as well. See the AATS page for the full story. 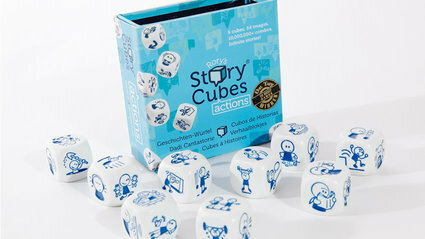 Rory’s Story Cubes aren’t exactly new, but the variety is new to us. The original set consists of 9 die with images on each face. Roll the die, and come up with a story. This is the set we’ve seen around for quite a while, but we haven’t run into the other versions until recently. They now have a set called Voyages, and another called Actions. In addition, there are 3-die add-ons Clue, Prehistoria, and Enchanted. They also have a set they call Max, which is the original set, just bigger cubes for group or classroom use. It seems like such a simple idea. Too simple for the screen-savvy youngsters of the world, including the ones we live with. In fact, it was perhaps too simple at first. The chief target here is seven, and it took her a while to let the Story Cube idea hook her. The introduction of the very general idea (roll all 9 cubes, make story, repeat) was both too much, and not enough for her. She didn’t get that far with it, and she has some experience with story-generating tools. Her transition to her now furious devotion to, and love for, Story Cubes actually took a few weeks, which I think is something good to know going into these things. This is the sort of product that sounds great to adults, but is fairly high-concept and foreign to youngsters. Of course, being imaginative isn’t at all foreign to kids, but working within this mold, and figuring out how to get something out of it, is something that is more of a relationship-building process, and that in itself isn’t something that most kids are probably all that familiar with. The real brilliance of the product is that there are an infinite number of ways to “play” with them. Their website gives you some ideas, but everyone can easily come up with their own ideas, throwing another level of creativity and imagination into the thing. At this point, my daughter is fascinated with the things, as though they are themselves a kind of magic portal. 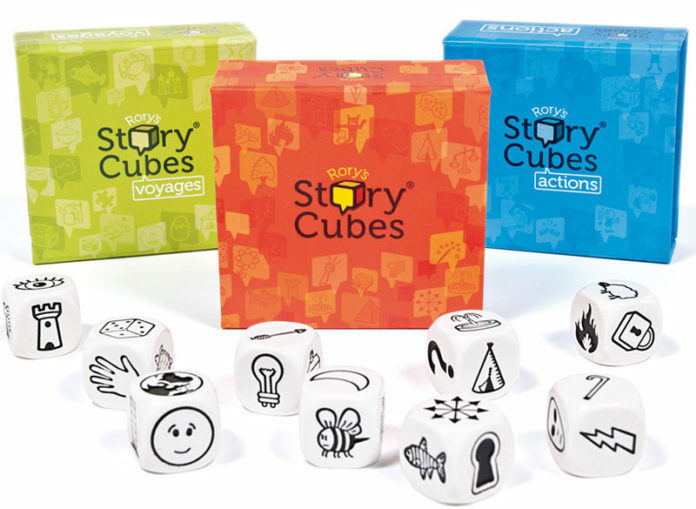 Story Cubes also exist in an App version, and to be honest, it’s one of those entities that we’re pretty comfortable considering outside the world of really screening, despite the fact that you’re looking at your iPad, iPhone, or Android device. You’re really still just looking at dice. The App comes with two sets, and pretty low price, and offers the rest of the sets as in-App purchases. You roll the dice, choose the sets to involve at the moment, and can move them around once rolled to put together pieces of the story. As a parent, there are few moments that can match watching your child stare at something while the gears are clearly spinning furiously in their mind. If your child isn’t into chess, there aren’t as many opportunities for this as you might imagine. 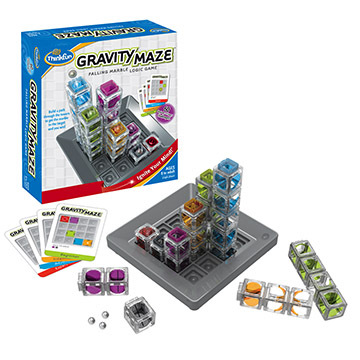 Gravity Maze is one of the cooler options we’ve seen here, and it’s one that kids take to quickly. It also throws a lot of powerful thinking skills into something that is rather simple. It comes with 60 challenge cards, which range in difficulty, but don’t worry about running out of them. They are great for kicking things off, and some of them are pretty tricky, but once you work through them, your kids don’t need them. This is one of those “toys,” that, at least for me, turns out to be surprising in its attraction. As you browse around a store, looking for… well, things like this, some of them look very cool, but you wonder if your kids will care. This one pulls them in. 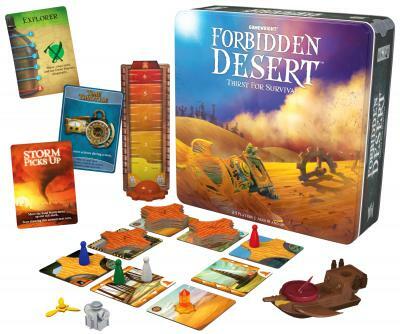 From the makers of Forbidden Island (a favorite around here), comes the sequel, Forbidden Desert. It’s the same basic concept, just more, better, and taken to a new level. Another awesomely cooperative game, this one tweaks things just enough that it remains familiar, but is clearly the next generation of an already great game. When we launched Forbidden Island in 2010, we had an inkling that we had created a hit game but never to the point that we’d be prompted to make a sequel. Well, here we are a few years later with just that in hand. Our challenge to designer Matt Leacock was to create a game that would contain familiar elements (cooperative play, modular board), while offering up a completely different in-game experience. In addition, we wanted it to be simultaneously approachable to new players while upping the ante for those who felt they had mastered Forbidden Island. All this resulted in a fresh new game with an innovative set of mechanics, such as an ever-shifting board, individual resource management, and unique method for locating the flying machine parts. Hopefully we’ve achieved our goals and quenched your thirst for adventure! GeoMate Jr. isn’t anything new either, and it’s hard to really say that it is even the product actually being mentioned here. 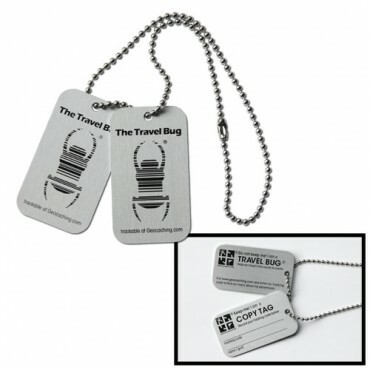 What got us to feature this one, and really Geocaching in general, is simply the level to which the activity has taken off. If you aren’t in on this world already, you’ve got to take a look at the Geocaching.com site, and learn just how large the whole thing has grown. Not only is it a great activity, trust me, there are hundreds, if not thousands, of geocaches near you, but it’s also the perfect take along wherever you go. With trackables geocoins, travel bugs, and other trackable trinkets (see trackable Lego guy below), the new game is to travel your items as far and wide as you can. From the regular ammo can caches, to mini and nano version, and hollowed-out book caches, geocaches are everywhere now, and include the standards to find, and special treasure hunt caches that are connected. It’s something great to do in your own neck of the woods, but adds another level of exploration to the places you go on vacation as well. And, whatever geocaching device you use, Geomate Jr., or otherwise, you’ve got a lot of cool features that go along with making sure you always bring it with you. Possibly most important, a way to find your way back to wherever you started. Best of all, you’re demonstrating the importance of just looking around, which is awesome. The Geomate.jr comes preloaded with 250,000 geocaches covering all 50 states (or your country.) 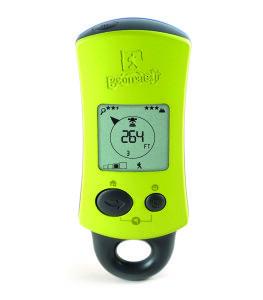 Just switch on the Geomate.jr, then follow the distance and arrow to the closest Geocache. See, we told you it was easy! 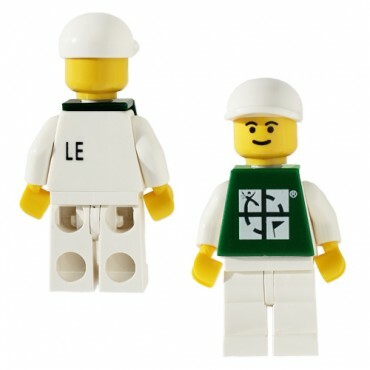 The Geomate.jr will display the 20 closest geocaches to your location. The Geomate.jr also gives you information about the geocache such as cache ID, difficulty, terrain and size. Worried about getting lost? 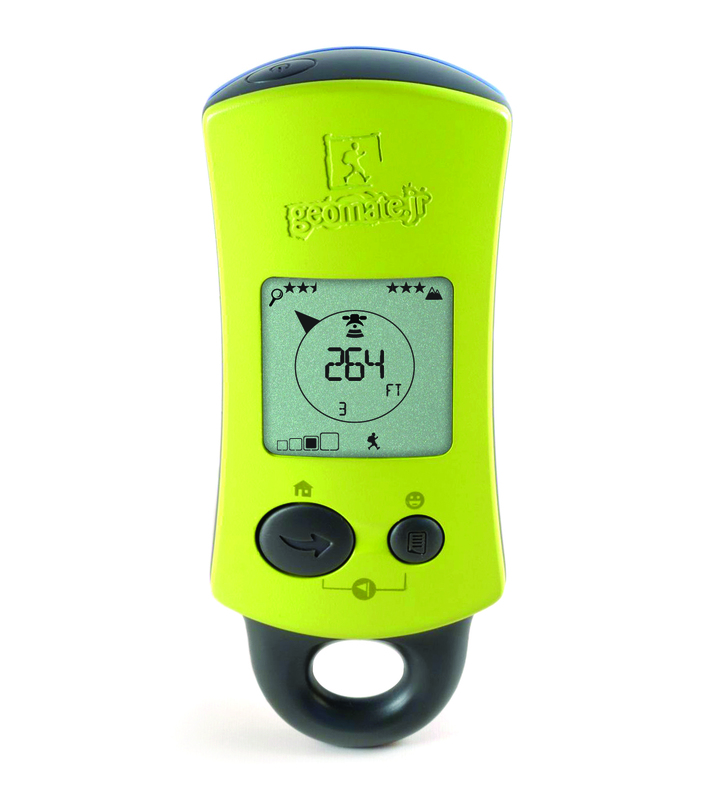 Don’t be you can set and save your home waypoint with the Geomate.jr so you can always find your way home. The Geomate.jr also saves your found caches, so you can review your found list at any time. The Geomate.jr has a GPS compass. It can also display latitude, longitude and height. Making it a powerful navigational tool and a perfect companion to any topographic map. If you would like your product, or other awesomeness featured in AATS, check out our contact page and drop us line.